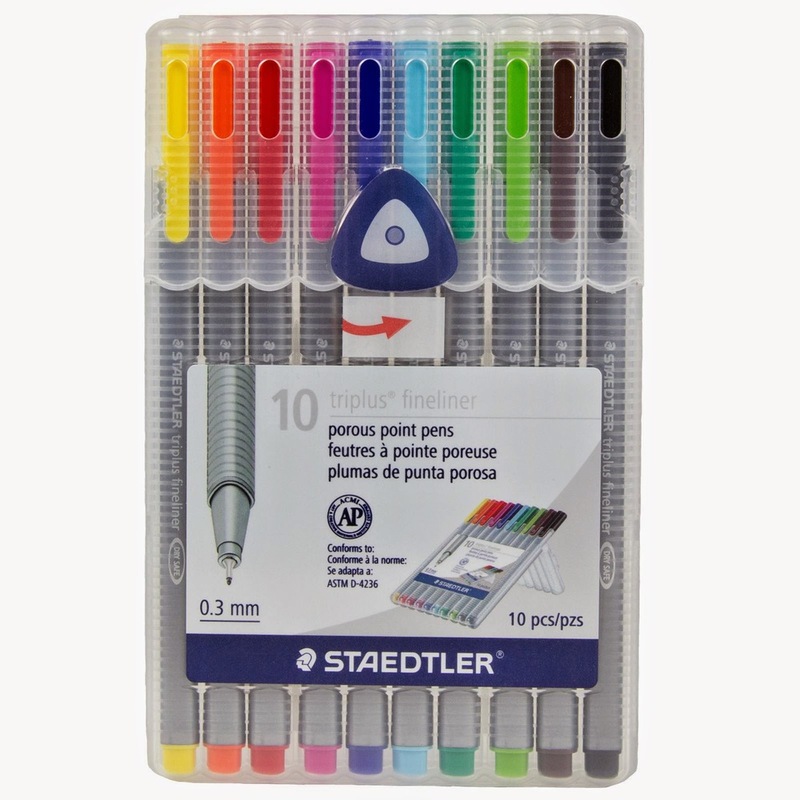 Pens, Fineliner with superfine 0.3mm metal-clad tip. 10 colors. Ergonomic Triplus triangular barrel for relaxed and easy writing. Comes in stand up easel case. 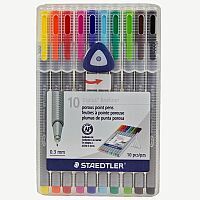 Pens, fineliner in 10 colors in stand up easel case: Yellow, Magenta, Red, Orange, Light Green, Green, Light Blue, Blue, Brown, Black.